Omate just released its TrueSmart+ smartwatch back in September, but the company now plans to release another smartwatch that follows in the same 3G connectivity as the TrueSmart+. The name of the watch? 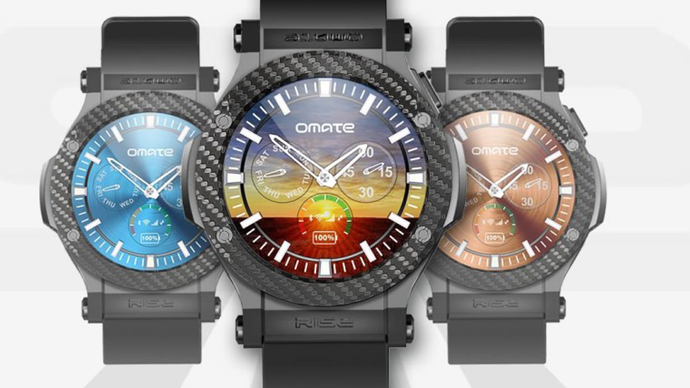 The Omate Rise, and it’s the first circular 3G smartwatch from Omate that has a carbon bezel to boot. The Omate Rise is, as is the TrueSmart+, a 3G-connected smartwatch that has Wi-Fi as well. The Omate Rise features a 1.3-inch thin-film transistor (TFT) liquid crystal diode (LCD) display with a 360 x 360p screen resolution and a sapphire coating for impact resistance, a 1.2Ghz, dual-core MediaTek MT2601 processor with 512MB of RAM, 4GB of storage, and 580mAh battery. The Omate Rise also features 1ATM water resistance, meaning that the device is protected in feet of water for up to minutes. 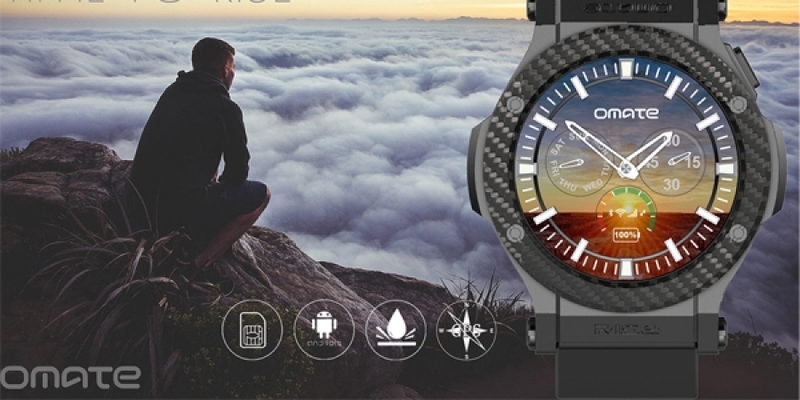 The Omate Rise also runs Android 5.1 Lollipop, the full mobile version of Android and not the typical Android Wear designed just for wearables alongside of its own OUI 4.0 skin on top, so downloading apps and music is en vogue with the Rise smartwatch. The Omate TrueSmart+, just announced in September, features a 1.54-inch, TFT LCD display with a 320 x 320p screen resolution, a 1Ghz MediaTek MT6572M processor with 1GB of RAM, 8GB of storage, and a 700mAh battery. The TrueSmart+ has double the storage of the Omate Rise (8GB for the TrueSmart+, 4GB for the Rise), as well as a better battery (700mAh battery for the TrueSmart+ versus 580mAh battery for the Omate Rise) while still running the same Android 5.1 Lollipop but with Omate’s former OUI 3.0 overlay (not the OUI 4.0 update for the Rise). Whereas the Omate TrueSmart+ wasn’t compatible with iPhones, the new Omate Rise is compatible with all iPhones running the latest iOS update from Apple (iOS 9, not iOS 8 or earlier). The Omate Rise shows that Omate has made some changes by bumping up the RAM, processor, and making its 3G smartwatch iPhone-compatible, but we’re not sure that it merits the creation of yet another smartwatch on the market when the Omate TrueSmart+ just became available last month for purchase. Apparently, it seems as though the Omate Rise is the first circular smartwatch with a carbon bezel from the company, making it the first circular 3G smartwatch of its kind. It isn’t the first circular 3G smartwatch, but it is the first circular, 3G smartwatch with a carbon bezel. Where can you find the Omate Rise to order it? Omate plans to start the Omate Rise on Indiegogo, with early backers picking up the smartwatch for $199 while the rest of the world can buy it for $349. The $349 price tag matches what we’ve come to expect of other smartwatches, with Samsung’s 3G-connected Gear S2 coming in at $349.99. You won’t be able to place your pledge until tomorrow, December 7th, so you’ve still got a day to decide whether or not to invest your time. We are exclusive resellers of the new Truesmart+. We will sell the OMATE RISE as well as soon as it is available.